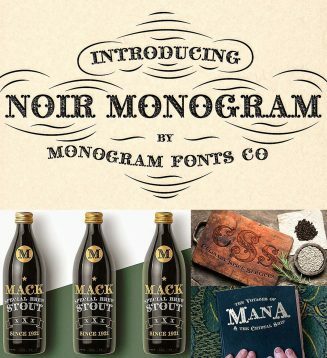 Noir Monogram is capable of several traditional monogram forms with unique detailing features utilizing Ligature & Stylistic Alternates features. 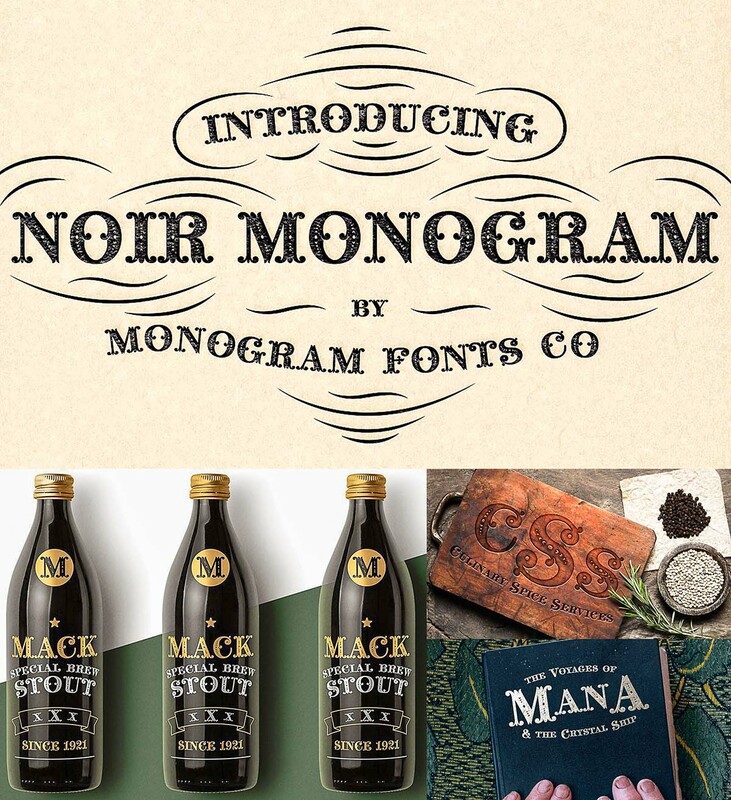 Noir Monogram comes complete with both Pro and Standard format fonts. For those with programs that can take advantage of OpenType features, the Pro fonts are for you, but for others without the ability to use OpenType features, we’ve created separate fonts that make up the styles contained in the Pro font. Tags: decorative font, elegant font, monogram font, retro font, serif, victorian, vintage font.